Vedanthangal Bird Sanctuary is a 30 hectare (74 acres) protected area located in the Kancheepuram District of the state of Tamil Nadu, India. This sanctuary is about 80 kilometres from Chennai on National Highway (NH45), south of Chengalpattu. More than 40,000 birds (including 26 rare species), from various parts of the world visit the sanctuary during the migratory season every year. It is home to migratory birds such as pintail, garganey, grey wagtail, blue-winged teal, common sandpiper and the like. Vedanthangal is the oldest water bird sanctuary in the country. Vedanthangal in Tamil language means 'hamlet of the hunter'. This area was a favourite hunting spot of the local landlords in the early 18th century. The region attracted a variety of birds because it was dotted with small lakes that acted as feeding grounds for the birds. Realising its ornithological importance, the British government undertook steps to develop Vedanthangal into a bird sanctuary as early as 1798. This was established in 1858 by the order of the Collector of Chengalpattu. Villagers near this sanctuary are very concerned about the sanctuary and its winged residents, and they have taken many serious steps to avoid disturbance to the flow of birds. The best time to visit this sanctuary is from November to March. During this time, birds are seen busy building and maintaining their nests. Karikili Bird Sanctuary is located about 80 km from Chennai in Madurantakam Taluk of Chengai Anna District, this is one of the most tranquil and beautiful places near Chennai. Spread over 61.21 ha, this comprises of two rain fed irrigation tanks. The water enriched by bird droppings results in increased yield. 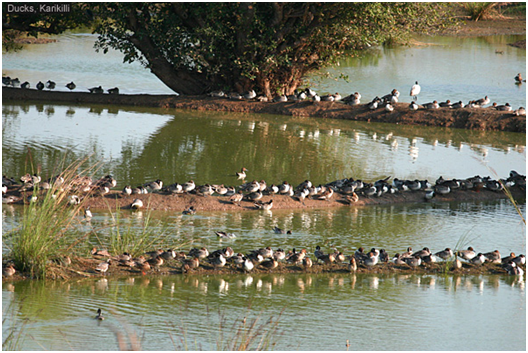 Beginning with the open billed storks, the birds start arriving in Sept-Oct. Karikili is a haven for ducks and waders. Pin tailed ducks, garganey teals, common teals, shoveller, little grebe or dab chick, herons and egrets are the other avian visitors. Karikili Bird Sanctuary is a place of lush greenery conservative forest of barringtonia and acacia nilotica. The best time to visit this sanctuary is from November to March. During this time, birds are seen busy building and maintaining their nests. Thirumalai Vaiyaavoor has a beautiful temple for Sri Prasanna Venkatesa Perumaal on a small hill, which is also called Thirumalai. 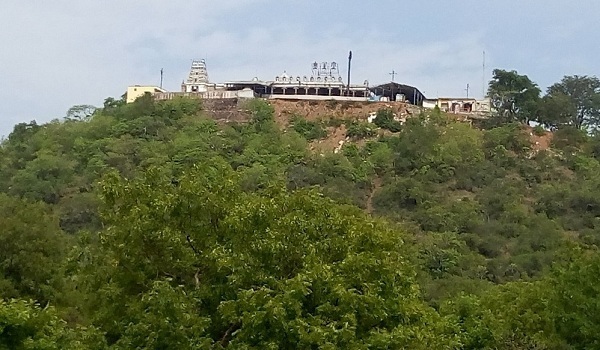 Goddess here is Sri Alarmel Mangai Thaayaar.This hill has various names like Sri Vaikundagiri, Dhakshina Garudagiri, Dhakshina Venkatagiri, Dhakshina Seshagiri, Varaaha Kshethram and Ramanuja Yogagiri. This ancient temple has some interesting legends attached to it. During the battle between Sri Rama and Raavana, Lakshmana fainted on the battle field. Sri Rama sent Sri Hanuman to bring the Sanjeevi hill to cure Lakshmana. Sri Hanuman brought the Sanjeevi hill as told by Sri Rama. It is said that Sri Hanuman worshipped Sri Varaaha Perumaal and Sri Prasanna Venkatesa Puramaal on this hill, on the way back to Lanka, carrying the Sanjeevi hill. As the holy Sanjeevi hill was not kept on ground here by Sri Hanuman, this place came to be known as Thirumalai Vaiyaavoor. 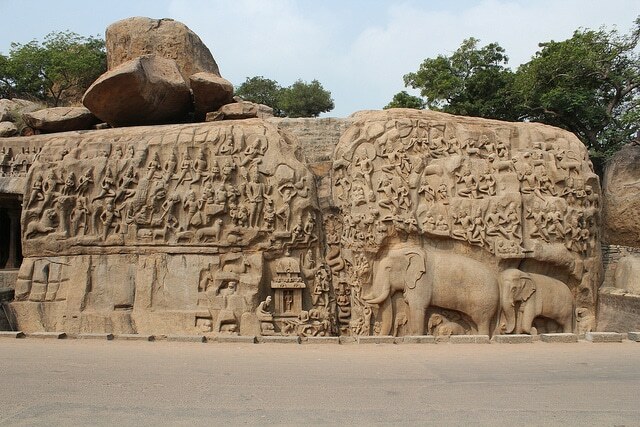 The group of monuments at Mahabalipuram is a collection of 7th- and 8th-century CE religious monuments in the coastal resort town of Mamallapuram, Tamil Nadu, India and a UNESCO World Heritage Site. It is on the Coromandel Coast of the Bay of Bengal, about 60 kilometres south of Chennai. The site has 400 ancient monuments and Hindu temples, including one of the largest open-air rock reliefs in the world: the Descent of the Ganges or Arjuna's Penance. The group contains several categories of monuments: ratha temples with monolithic processional chariots, built between 630 and 668; mandapaviharas (cave temples) with narratives from the Mahabharata and Shaivic, Shakti and Vaishna inscriptions in a number of Indian languages and scripts; rock reliefs (particularly bas-reliefs); stone-cut temples built between 695 and 722, and archaeological excavations dated to the 6th century and earlier. 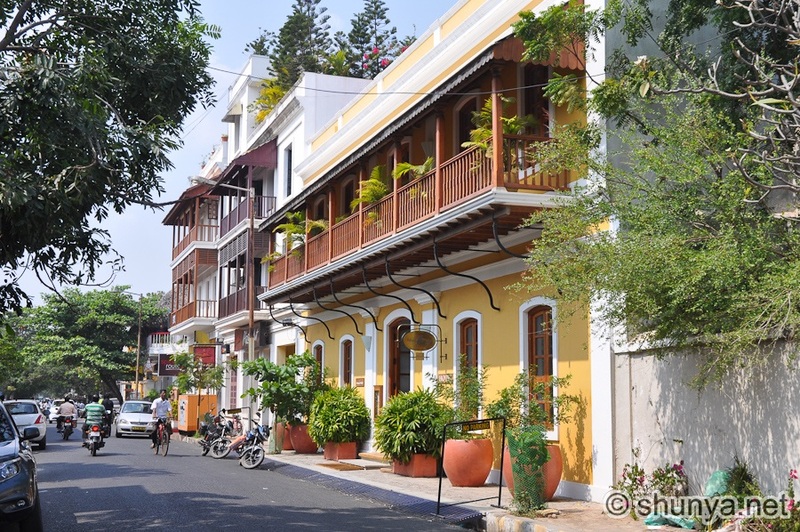 Pondicherry (or Puducherry), a French colonial settlement in India until 1954, is now a Union Territory bounded by the south-eastern Tamil Nadu state. Its French legacy is preserved in its French Quarter, with tree-lined streets, mustard-colored colonial villas and chic boutiques. A seaside promenade runs along the Bay of Bengal and passes several statues, including a 4m-high Gandhi Memorial. 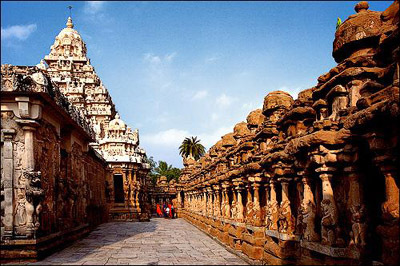 Kanchipuram, also known as Kanchi, is an ancient city in southern India’s Tamil Nadu state. Considered a holy pilgrimage site by Hindus, it is home to many temples. The 8th-century Kailasanathar Temple, dedicated to Lord Shiva, is a vast complex with intricate sandstone carvings. Ulagalanda Perumal Temple houses a huge statue of Lord Vishnu. A mango tree in the Ekambareswarar Temple courtyard is thought to be sacred.